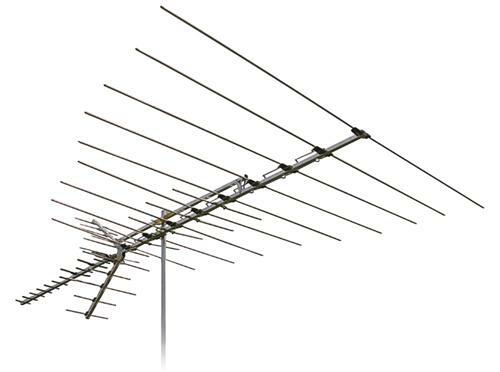 Will you need a new antenna for 4K over-the-air broadcasting? It’s probably going to be a long time before you get a 4K signal. If ever. Using the current broadcsting standard, broadcasters can’t put out a 4K signal. Content providers might or might not be producing shows in 4K now. There’s no way of knowing. There’s simply nowhere to see network television in 4K. The only reason you see HD at all is because a move to digital broadcasting was mandated by the FCC back in the 2000s and while that didn’t technically require a move to HD, it did make sense to put in HD equipment in most stations when they were switching over to digital. There is actually a proposed broadcast standard for 4K that would allow broadcasters to put out a 4K signal using the same 6MHz channel that they currently use for broadcasting HD. There’s some question as to whether the quality would be any good, but there’s nothing technical that would prevent them. The ATSC, the group that designed today’s TV standards for North America, has created the ATSC 3.0 standard which includes 4K. But is it coming soon? In 2017, the FCC came up with a surprising rule. They said that broadcasters were allowed to broadcast using the ATSC 3.0 standard. They just had to make sure everything they broadcast was a direct mirror of what was on their normal, ATSC 1.0 channel. In 2018, the National Association of Broadcasters committed, in theory, to moving to ATSC 3.0. They plan to start somewhere around next year and finish, oh about 2025. That’s if the FCC lets them. Remember though that ATSC 3.0 doesn’t automatically mean 4K. The standard will “allow” for 4K but what broadcasters really want is the ability to target commercials to different people. That’s why they’re pushing ATSC 3.0. There’s no evidence to date that any broadcaster will ever send one program in 4K. Will the FCC adopt ATSC 3.0? That’s the real question. If you had asked me last year I would say that they would. However, things have a way of changing. The real leader in the charge toward 4K has been Sinclair Broadcast Group. They spent much of 2017 and 2018 trying to buy rival Tribune Media, only to give up on the effort in the face of increasing accusations of corruption and collusion with the FCC. Since then, Sinclair’s relationship with the FCC has been much quieter, and they’ve left others to take up the charge toward ATSC 3.0. Transitioning from analog to digital was a pretty massive undertaking, the sort of thing that comes about once in a generation or so. It’s not likely that already cash-strapped broadcasters are going to pitch all their HD equipment to move to 4K so quickly. This is especially true when you consider that there just isn’t a demand for 4K content like there was for HD content, and when you further consider that most people consider the future of television to rely just as much on streaming as it does on broadcasting. Since there is a technical standard for putting 4K on the same channels as HD, there is no reason to think you’d need a different antenna. After all, an antenna doesn’t know and doesn’t care what kind of signal it receives as long as it’s within the frequency range that it’s designed for. So bring on the 4K, your antenna can take it… but don’t hold your breath waiting for it.